A fun Pirate moustache and braided beard set (self-adhesive). 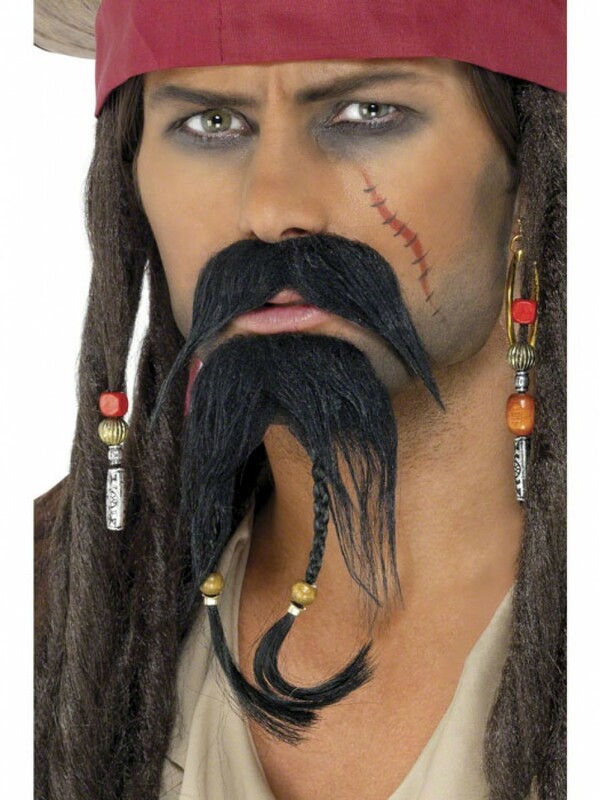 The perfect finishing touch for any pirate fancy dress costume! A pirate tash and braided beard set. The tash is black with long droopy design. The matching black beard also has a braided design with wooden and gold beads, as pictured. Both items are self-adhesive. Pirate tash and beard set.